So, you have already booked your virtual tour and are ready to showcase your business in one of the most efficient ways. Here are some steps you should follow to ensure your space looks its best for the day of your photo shoot! Take a tour of your own business as if you were a customer, and notice the details carefully. Which areas would you want to highlight, and what spaces would you need to spruce up before the day of the photo shoot? You can read more of our tips on the actual staging of your space here. Remember that a virtual tour is meant to be the first impression of your business, so make sure that everything is organized and ready to be showcased! The camera picks up every detail, so any stain or dust will be visible. Make sure every area is neat and tidy before the day of your appointment. Whether or not you want customers or employees to be in the shot is up to you, and you should decide depending on the environment of your business. However, you should keep in mind that the process might take longer when people are moving around the area, so you should definitely set a plan beforehand. Also, all Google virtual tours will blur out faces, for privacy reasons. Objects such as fans, televisions, or any other thing that moves should be turned off during the photo shoot. The reason for this is that virtual tours are taken at long exposures, and capturing anything in movement could cause a blur effect. 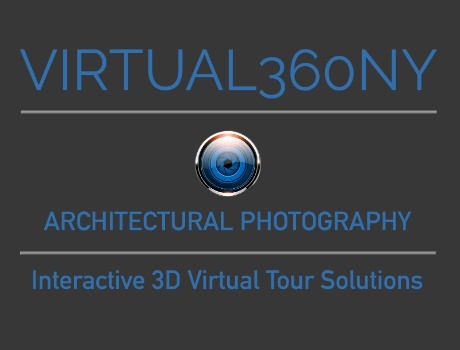 You booked a professional virtual tour, which means your photographer does this job on a daily basis! You can definitely ask them questions or have them give you feedback on the overall appearance of your space to achieve the best results.